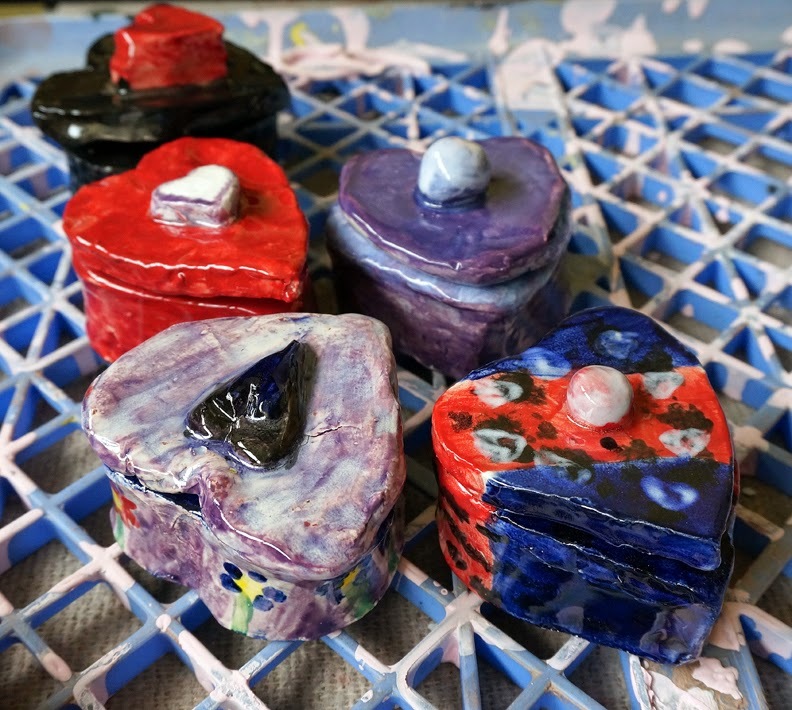 Fifth graders created these ceramic heart boxes as (late) Mother's Day gifts. Having worked in other ceramic construction methods in lower grades, this was the students' first experience with slab construction. Using templates for the bottoms and sides of their boxes, the fifth graders cut out and carefully assembled these pieces during the first day of this lesson. On a second day, they used their boxes as a template to make a heart-shaped lid and attached a handle to the top and some "ribs" to the underside to keep the lid from sliding. 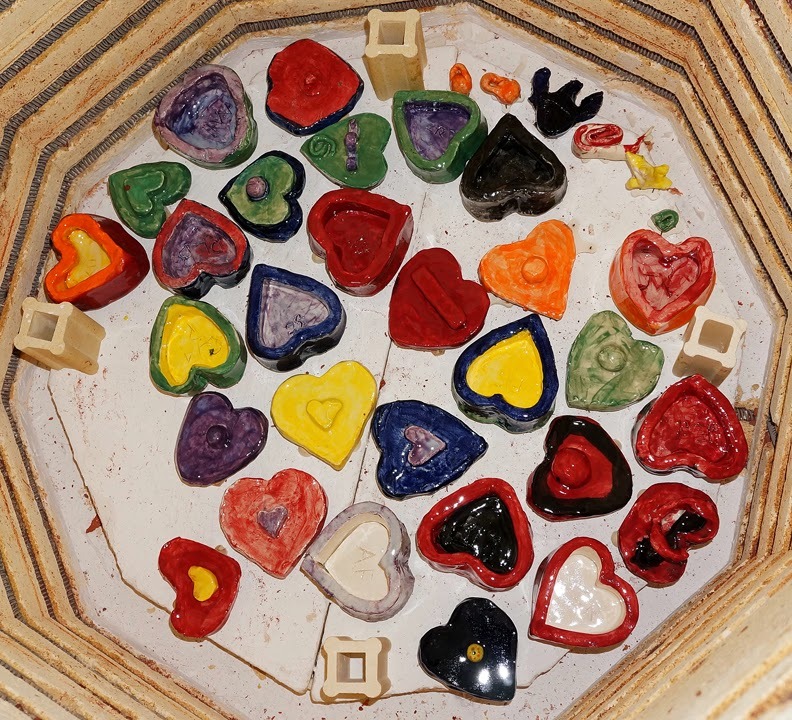 After the boxes and lids were bisque-fired, they used underglazes to decorate. I then dipped each piece in a transparent overglaze and fired the pieces again. Some students did a particularly good job of getting their lids to fit just right -- a big challenge given the shrinkage and flexibility of the medium. Now I just need to start this project a little earlier in the fourth nine weeks next year to get them finished in time for the actual holiday!